Al-Assad’s war against Syria has not only taken its toll on people’s lives, but also on its national and religious heritage. 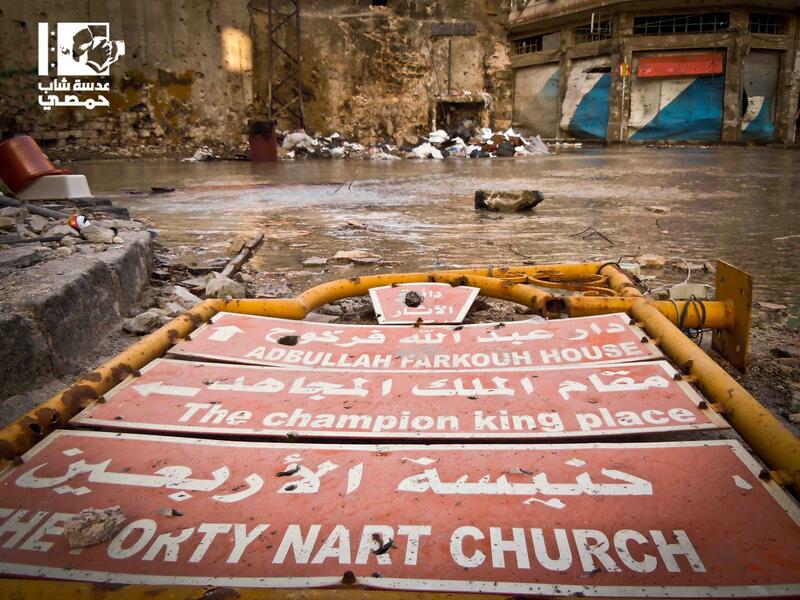 This photo, which was taken in Homs on the 6th of June, shows a wrecked placard of the directory of Antiquities that refers to an old house, a shrine of an Ayubid King, and a historical church. هذه المقالة كُتبت ضمن التصنيف صورة اليوم. الوسوم: Assad, Homs, photo. أضف الرابط الدائم إلى المفضّلة.